We have recently hired a Physical Therapist Chris Lovejoy PT, DPT, CIDN whom brings a Multi-System Approach that uses a specialized process to access all the bodies interrelated systems and incorporates the most extensive researched and outcome driven treatment system to address all aspects of a patient’s injury or disease. He leads or team of PTs, PTAs and LMTs. This along with exercise modalities help achieve the highest level of functional outcome and systems resolution possible. The physical therapy department incorporates the most research based and outcome proven methods of physical therapy from around the world. Below is a brief description of many systems and techniques used. Dry Needling used to help restore range of motion, decrease pain, normalize blood and lymphatic circulation. Joint Mobilization, performed to a joint not performing properly, to allow normal joint movements which helps reset the neuromuscular systems thus allowing exercises to provide a better effect. 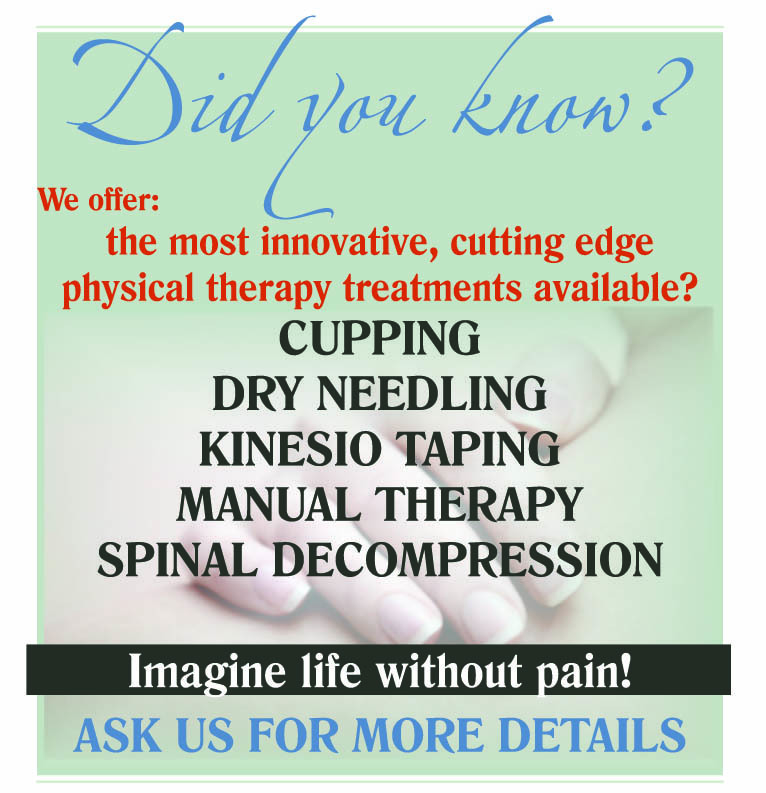 Kinesio Taping, cold laser, and myofascial decompression cupping therapy, all of which increase blood flow to the injured and painful areas promoting healing. Active rehabilitation exercises designed to improve flexibility, strengthen and stabilizing injured areas. Who Benefits From This Multi-System Physical Therapy Approach?